The Palestinian president warns the U.S. against recognizing the city as Israel's capital. WASHINGTON — President Trump has not yet decided whether to recognize Jerusalem as Israel’s capital or whether to proceed immediately in moving the U.S. Embassy from Tel Aviv to the holy city. That’s according to his son-in-law and senior adviser Jared Kushner. Kushner said Sunday that the president continues to weigh his options ahead of an announcement on the matter that is expected this week. 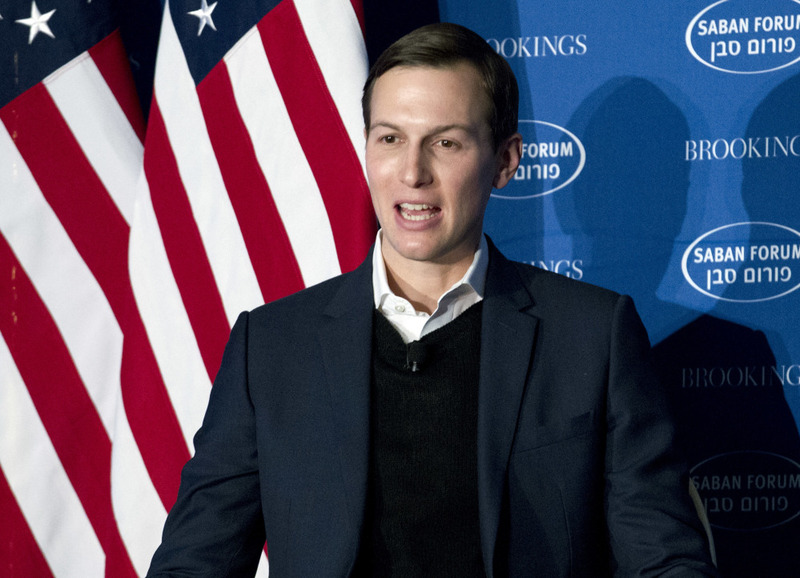 Kushner’s comments were his first public remarks on his efforts to restart peace talks between Israel and the Palestinians. And they came as he faces increasing scrutiny over actions taking during the transition period following former national security adviser Michael Flynn’s guilty plea on charges of lying to the FBI. Shortly before Kushner spoke, Palestinian President Mahmoud Abbas warned that American recognition of Jerusalem as Israel’s capital would jeopardize the White House’s Mideast peace efforts. “Any American step related to the recognition of Jerusalem as capital of Israel, or moving the U.S. Embassy to Jerusalem, represents a threat to the future of the peace process and is unacceptable for the Palestinians, Arabs and internationally,” Abbas told a group of Arab lawmakers from Israel, according to the official Wafa news agency. U.S. officials said last week that Trump is poised to recognize Jerusalem as Israel’s capital in a move that would upend decades of U.S. policy but also to put off once again moving the embassy from Tel Aviv. The officials said Trump is expected to make his decision known in a speech on Wednesday. The highly charged declaration risks inflaming tensions across the Middle East, and U.S. embassies and consulates around the region have been warned to expect protests. Trump’s announcement will follow months of internal deliberations that grew particularly intense last week, according to officials familiar with the discussions. They described the president as intent on fulfilling his campaign pledge to move the embassy but also mindful that doing so could set back his aim of forging a long-elusive peace agreement between Israel and the Palestinians, who claim part of Jerusalem as the capital of an eventual state. Moving the embassy could spark widespread protest across the Middle East and undermine an Arab-Israeli peace push led by Kushner. Trump’s campaign season promises won him the support of powerful pro-Israel voices in the Republican Party. But as president, he has faced equally forceful lobbying from close U.S. allies such as King Abdullah II of Jordan, who have impressed on him the dangers in abandoning America’s carefully balanced position on the holy city.